The "East Meets West" series is one that is close to Sara's heart. She has lived in Texas all her life. West Texas has expansive skies and great people. 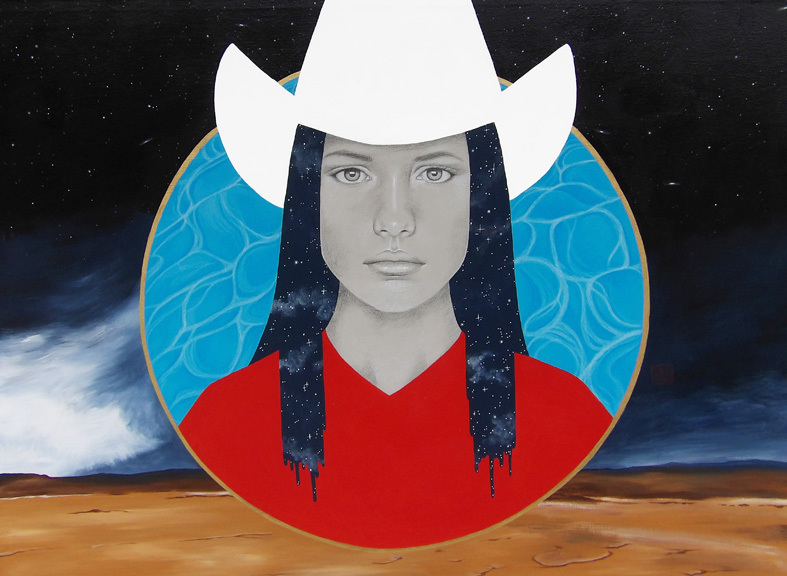 The cowboy hat is a nod to Sara's background as well as a symbol. 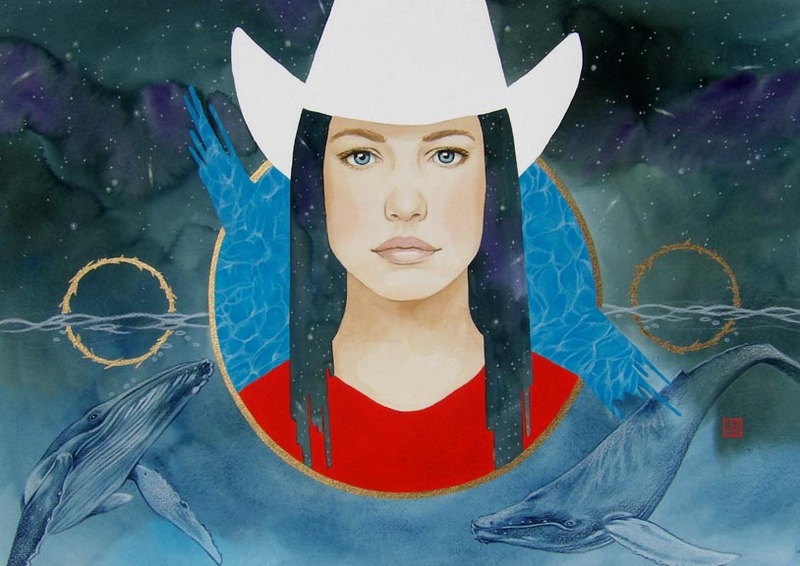 The ‘white hat’ has always meant the ‘good guy.’ For Sara, in this work, it represents the ‘pure of heart.’ For “blessed are the pure of heart, for they shall see God.” Matthew 5:8 An overarching theme in much of her work is pursuing the best: version of ourselves, relationship with others, and relationship with God. The ‘East’ part, in “East Meets West,” has two sides. First, Sara adds frequent elements of Asian imagery to her work. Second, Christianity is first an eastern religion. The contemporary handling of the traditional Byzantine icon has its roots first in the East. Click image to see full size and read meaning.